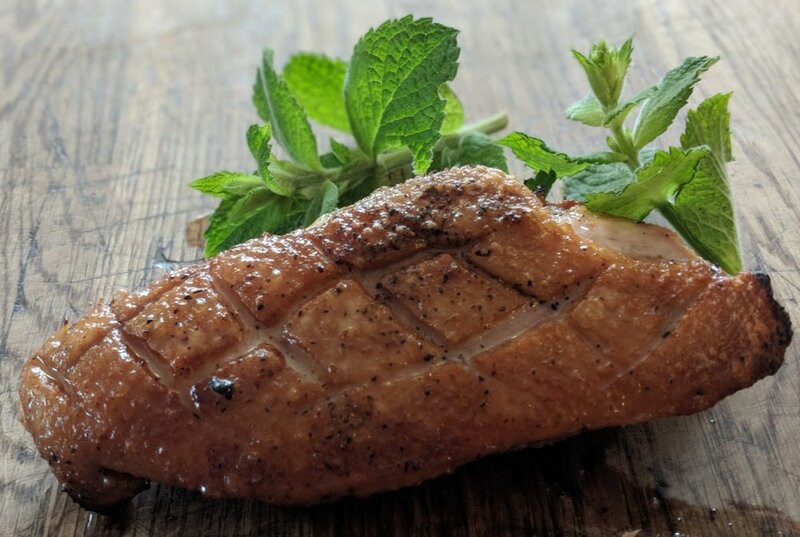 In Part 1 of our 2-part series on cooking Duck, I talked about how my kids now prefer duck over any other meat. In that same post, I go through common duck pitfalls and start explaining how to avoid them. I also promised that I would do a follow-up post featuring Duck Breasts. 1) These duck breasts are ideal for weeknights. They really do cook in 8 minutes and are delicious with simple sides like leafy green salad and boiled potatoes with chive butter. 2) Duck meat is rich and satisfying. So you will probably only need 2 breasts to feed a family of 4-5. Our family usually can't even finish the 2nd breast. 3) Duck breast is fantastic eaten cold, particularly when sliced onto a salad for lunches. Sometimes I make 2 extra duck breasts, just so I can use the leftovers in salads throughout the week. I know learning to cook duck can be tricky. But there's a reason the French treasure duck so much - it's really THAT good. 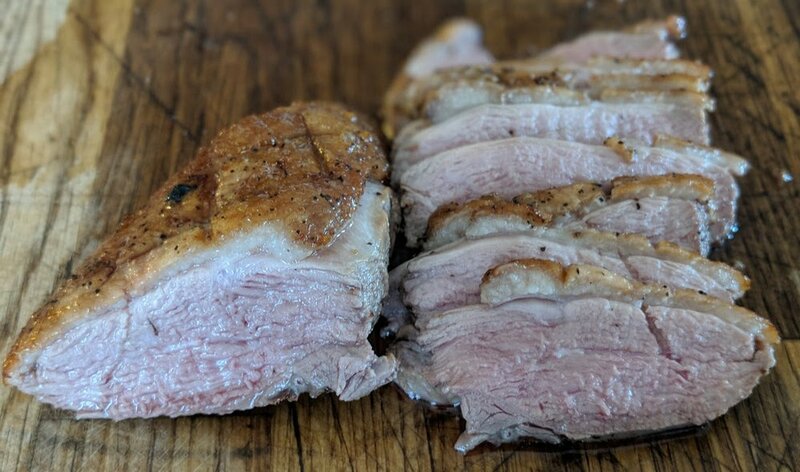 So if you're struggling with these duck recipes or have any question at all, please do leave your questions in the comments. I will try to help however I can! - Turn on the broiler. If your broiler has a "low" and "high" setting - use "high." - Place an empty broiler pan in the oven and allow it to heat up with the oven. - Rub the breasts all over with salt and pepper to taste. - Once the pan is hot, place skin side down on hot broil pan - you will hear a sizzle as each breast hits the pan. - Flip and broil for 4 min skin side up. Remove from the oven. - Breasts will be crispy brown on top but still a bit rare and tender in the middle. - Let the breast rest for few minutes, slice thinly and serve.